A serious personal injury can alter the course of your life forever and place a significant burden on your family. 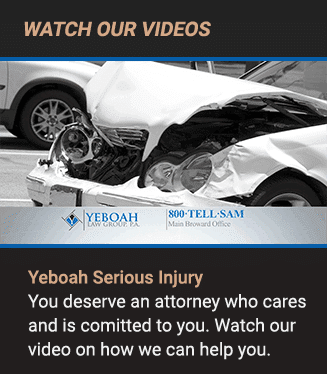 When facing this difficult situation, you need the Miami personal injury attorneys of Yeboah Law Group, P.A. to advocate for your rights. Lead attorney Samuel Yeboah has more than two decades of experience practicing law in both North Carolina and Florida.  He has developed an intricate knowledge of personal injury law and the types of cases unique to the South Florida area. His client-centered representation extends to all members of the firm. The professional and empathetic team at Yeboah Law Group works on a contingency basis, so you aren’t charged any upfront fees. Mr. Yeboah understands how one accident or one incident can change a life forever. One moment, you’re healthy and the next moment you are unable to do the things you once did and wondering if you will ever get well again and how you will pay the bills. Mr. Yeboah fights for anyone whose life has been altered, including the families of loved ones, in any type of personal injury case. He handles wrongful deaths cases, catastrophic injuries, permanent injuries, and any type of hurt caused by another. Once fault is established, he fights to get his clients every dollar they deserve. As an in-demand Miami personal injury attorney, Mr. Yeboah demands payment for all necessary surgeries and doctor visits that injured victims require to return to health, as well as any and all medical bills. He understands that damages include lost wages or income if the victim becomes temporarily or permanently disabled. A large part of the financial recovery he seeks is compensation for all daily pain and emotional suffering, including any loss of quality of life. Motor vehicle accidents. Litigation can provide relief for the extensive costs and pain associated with an auto accident in South Florida. Whether you were injured in a drunk driving accident, by a tractor trailer, while using mass transit, or while flying on a plane, we have the experience to successfully advocate on your behalf. Personal injury protection. Personal injury protection (PIP) is similar to no-fault accident coverage, made mandatory under Florida law. While this is a useful resource, dealing with PIP insurance companies can prove challenging. Medical malpractice. We trust our medical professionals to provide care that conforms to industry standards. When they fail to meet this expectation, serious injuries can result. If you or a loved one has suffered from medication errors, birth injuries, or other mistakes at the hands of a medical professional, we are prepared to obtain the compensation your injuries deserve. Product liability. Consumers have every right to expect that a product will serve the purpose it was sold for and not injure the user. If an unsafe or defective product has injured you or a family member, our product liability attorneys can guide your claim. Nursing home abuse and neglect. You trust nursing homes and assisted living facilities to provide your elderly loved one with the best possible care. When nursing homes fail to do so, it may result in the tragic abuse of your relative. Our Miami nursing home abuse attorneys seek compensation for all types of nursing home abuse, including physical, emotional, sexual, or financial abuse. Sexual harassment and discrimination. When state and federal employment discrimination statutes are clearly violated, we seek to hold employers accountable for their illegal practices. We also assist victims of sexual harassment. When you need an advocate, Yeboah Law Group is there for you. Turn to our experienced South Florida injury attorneys to help you get the compensation you deserve after an accident. Numerous situations require assistance from a knowledgeable team of legal professionals. Do not hesitate to contact us immediately to learn how we can help. Yeboah Law Group is the client-centered law firm to meet your legal needs. Call us at 1-800-TELL-SAM or complete our contact form to schedule a free consultation. We are proud to help people in Miami, Miami-Dade, Ft. Lauderdale, Palm Beach, Boca Raton, and in towns throughout South Florida.